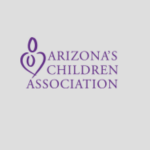 Arizona’s Children Association is looking for an Independent Living Specialist III to join the team in our Flagstaff office. As an Independent Living Specialist with AzCA, you would be responsible for assisting young adults in the transition from foster care to an independent, sustainable living environment. Free Parenting Workshop! First Five Years; Includes materials, childcare and gifts for attending! This monthly series will help you nurture your child with a “just right” combination of freedom and positive discipline. Free Parenting Workshop! First Five Years™ Includes materials, childcare and gifts for attending! Teen Brain is designed for both the parent of a child who is, or will soon be a teen, and for individuals that regularly interact with this age group. The session will focus on the scientific overview of this second opportunity to influence brain development, the first being the early development of a child’s brain. 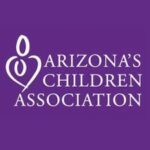 Arizona’s Children Association recently posted a full-time position for an Independent Living Specialist III in the Flagstaff area. It is a MA level position and the candidate would complete psychosocial assessments with youth as part of the intake process, as well as work directly with youth to help them achieve their identified self-sufficiency goals in their transition from the foster care system to adulthood. 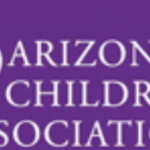 Arizona’s Children Association is hiring Independent Living Specialist III in Flagstaff. The candidate will be responsible for assisting young adults in the transition from foster care to an independent, sustainable living environment. The Parent Educator is responsible for the intake, assessment, planning, preparation, promotion, and evaluation and follow-up of various programs and services designed to teach parents healthy parenting techniques.